Where was the women's movement? 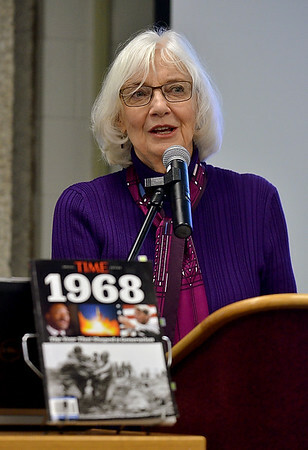 : Sheron Dailey, an ISU Professor Emerita in communication and women's studies, comments on the lack of content on the women's movement in a recent magazine that features the year 1968 during her presentation on Tuesday in the Cunningham Memorial Library on the ISU campus. Dailey was part of a panel discussion entitled "Voices from 1968."